When you're a VIP Club member at Capital Sound, the savings you get on the highest quality audio, video and home theater equipment is nothing short of staggering. We're talking about superior performance technology from manufacturers like Klipsch, Marantz and more, with the kind of precision and power that brings all of your music and movies to life. Our collection of amplifiers features two outstanding power sources. 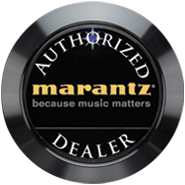 The Marantz MM8003 8-channel power amp delivers clean current and meticulous control, plus perfectly engineered compatibility with media in DTS-HD Master Audio and Dolby True HD formats. For the ultimate audiophile, the Richard Marsh-designed Monster Signature Series MPA 5150, with a peak power output of over 500 watts per channel. The best home theater equipment at the lowest prices - at least for VIP Club Members - is always music to your ears!